One of the most popular payment methods in Bulgaria is paying with cash on delivery. However, business scene is constantly changing – daily and rapidly. There comes a moment that we would like to expand our business beyond a country’s borders. If we do this, however, we must be ready to take into account all the local habits and tendencies. For example, people in different geographic regions prefer different payment methods and different delivery services. The global trend is to pay with a debit card which actually increases daily as a preference amongst even our distrustful countrymen. In order for us to offer one of the most popular payment methods (using debit/credit card), we must definitely and most importantly have a serious partner that processes transactions, keeps a close eye for possible frauds and on the payments in general. We (and big part of the world) have found such partner in the face of Braintree. Braintree is a PayPal subsidiary. It specializes in mobile and web payments for companies engaged in e-commerce. It relies on its easy integrations, many payment options (incl. PayPal and Venmo), open and simple pricing, security and technical and customer service. 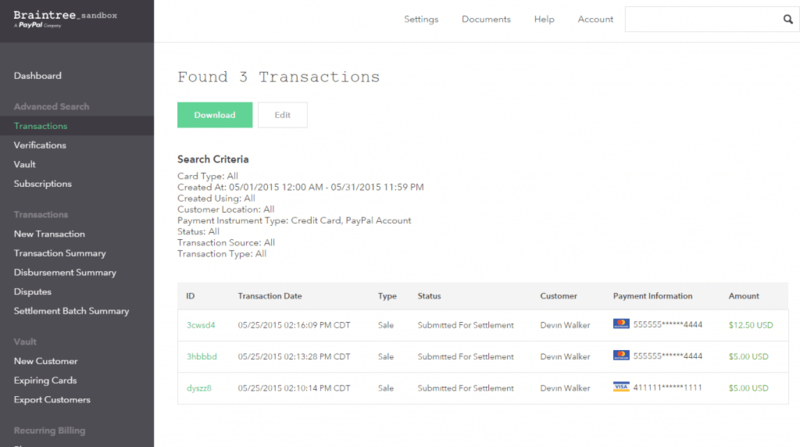 With its extraordinary technical documentation and API, it allows us to have and use a personal form for payments. 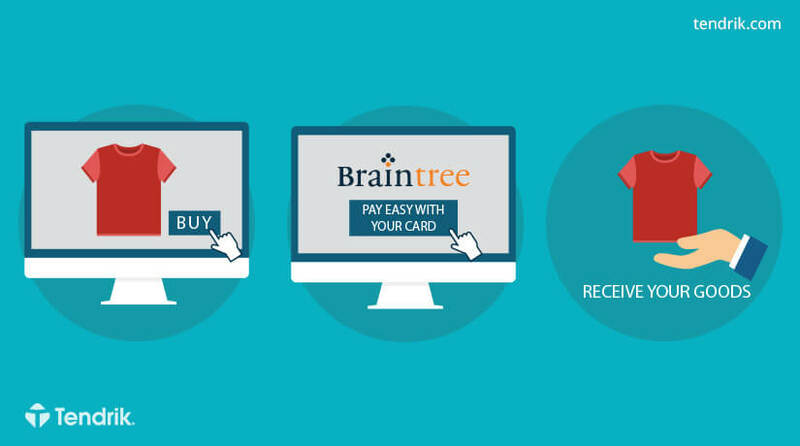 Brantree’s official website is https://www.braintreepayments.com/. There we can find detailed information about the company’s doings but for the moment one of the most important things we must now is that for the first €50 000 we are charged 1,9% + €0,30. If you want to register in Braintree, you must give information about you, your bank account and your company. If Braintree requires any addition information, its support will contact on your e-mail address. Here, however, are waiting for us a bunch of bureaucracy, which you would have needed to go though if our payment method were non-existant. Created with the thought of freeing up your time so that you can focus on other more important and interesting tasks, the module integrates one of the popular e-commerce platforms – OpenCart, with Braintree. In the next few lines, we will explain to you a little bit more for the module’s logistics, so that you can see how much it facilitates the boring, time consuming and sometimes even difficult bureaucratic processes. This is the layout of the module. All that is required is to fill in a few fields and will be activated. 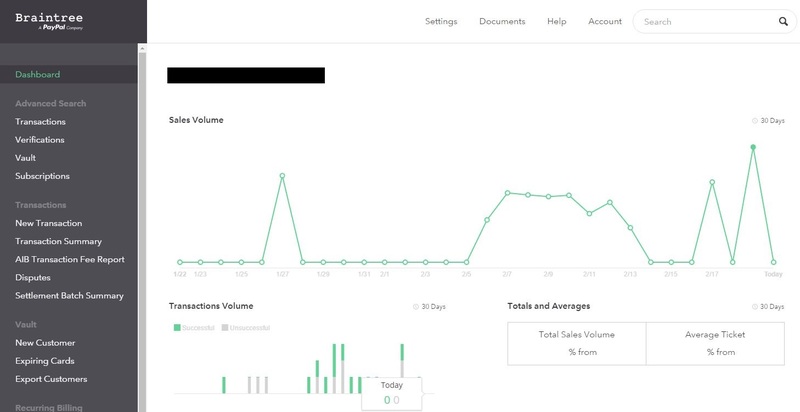 Sandbox – this is a text module, that requires different data from Braintree. With its help we can check if everything’s okay with the integration in general. It helps the process and saves a lot of energy and our financial resources. Production – in this option the system works with real money. After the CORRECT completion of all the fields, our website will accept payment with debit/creadit cards. Yes, it’s that easy! Another reason for pride is the payment method’s interface. For even greater convenience, the card is animated and changes its data and text, according to the one given by the user. For example, if the card if a MasterCard, it will take the same colours as the MasterCard ones. Also, when we enter our CVC, the card will turn and will show us the exact place this code is put on a real one. 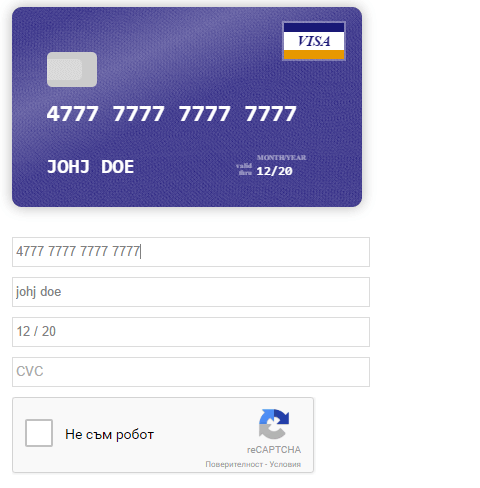 We have also added a CAPTCHA – it prevents malicious software, trying to make a fake payment or get one’s card details. After the payment, the money will be in our Braintree account (from where we can track our balance). As always, we recommend that you’ll be extremely careful and considerate with payments and giving away your data. In order to retrieve your money, you just have to click on the transaction and then “Submit to settlement”. Your money will be in your bank account in 2 to 7 days. A successful business is one that manages to not only stay afloat in all conditions, but at the same time moves towards its goal. It must use all new trends, create new ones and evolve daily. One prerequisite for this is the dedication and the ability to spare enough energy and time to achieve all goals. Considering all these “requirements”, you now realize the need for a set of binding qualities, but also “hidden trump” by which to take the needed advantage. If you want to use interactive integration of OpenCart from Braintree, which we offer, and to facilitate the process (for yourself and your clients) for payment by credit and debit card, please contact us. And if you want to see more of our projects, you can do it here. We’re here for any further questions you may have.